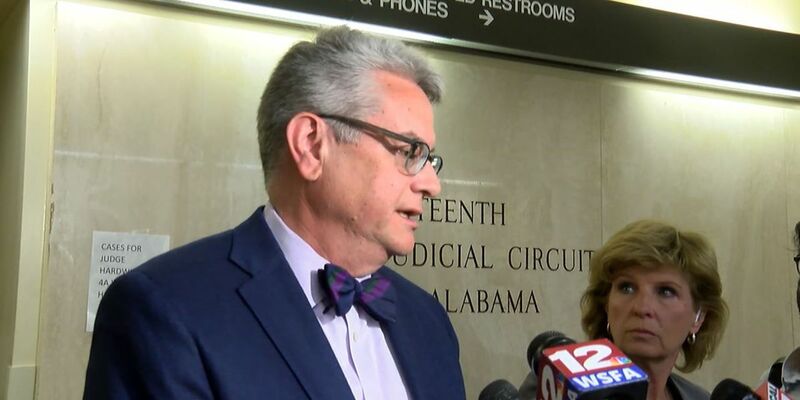 MONTGOMERY, AL (WBRC) - The 55-year-old Birmingham attorney heading up the investigation into articles of impeachment against Gov. Robert Bentley is a veteran of high-profile investigations. Jack Sharman was Special Counsel to the House Financial Services Committee for the Whitewater investigation in Washington, D.C. That was the probe which started as an investigation into real estate investments by Bill and Hillary Clinton and associates before his presidency. While the probe found insufficient evidence of any wrongdoing by the Clintons. The investigation mushroomed into a much larger case which dominated the 1990s. Sharman, who now heads up his Birmingham law firm's white collar defense and corporate internal investigations practice, learned a thing or two from his days in Washington. In a video on his White Collar Law blog for Lightfoot Franklin & White, Sharman talked about his Washington experience. "A congressional investigation and particularly a congressional hearing is not about the witnesses or the documents. It's about the member of Congress and the member's time and the member's message to the people at home," he said. There will certainly be opportunities for members of the Alabama House Judiciary Committee to be heard when the week-long impeachment hearing begins Monday at 10 a.m. While Sharman and the Judiciary Committee's legal team spent Friday morning in court fighting a restraining order request from the governor's legal team to block release of a detailed report on impeachment ahead of Monday's hearing, he'll likely find himself walking a constitutional tightrope throughout the coming week if the Bentley team attempts to put up other legal roadblocks. "The constitution divides state government, just like federal government, into three divisions: the executive branch, the judicial branch and the legislative branch. Each has its own duties within its own spheres. Each has the power to carry out its own duties," Sharman said, adding impeachment powers are committed "absolutely" to the House of Representatives. Those who know Sharman and his career said he was prepared for the historic event set to take place in Room 200 of the Alabama State House next week. "Jack enjoys an outstanding reputation for being a thorough and competent lawyer," former federal magistrate John Carroll said. "He is well suited to this particular task."